William T. Armaline, Davita Silfen Glasberg, and Bandana Purkayastha. 2015. 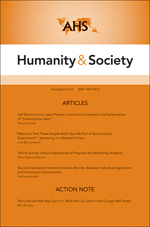 The Human Rights Enterprise: Political Sociology, State Power, and Social Movements. Polity Press. This book presents a framework for understanding human rights as a terrain of struggle over power between states, private interests, and organized, “bottom-up” social movements. 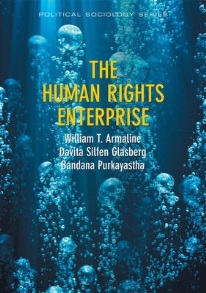 The authors develop a critical sociology of human rights focusing on the concept of The Human Rights Enterprise: the process through which rights are defined and realized. While states are designated arbiters of human rights according to human rights instruments, they do not exist in a vacuum. Political sociology helps us to understand how global neoliberalism and powerful non-governmental actors (particularly economic actors such as corporations and financial institutions) deeply affect states’ ability and likelihood to enforce human rights standards. William T. Armaline is an Associate Professor of Justice Studies and Director of the Human Rights program at San Jose State University. He has published widely on human rights issues, racism, and justice. Davita Silfen Glasberg is College of Liberal Arts and Sciences Associate Dean of Social Sciences at the University of Connecticut, and a Professor of Sociology. She has taught both undergraduate and graduate courses and published extensively on issues concerning power and oppression, human rights, finance capital and the state, predatory lending, and inequality and diversity, including Human Rights in Our Own Back Yard: Injustice and Resistance in the United States, coedited with William T. Armaline and Bandana Purkayastha (University of Pennsylvania Press), which received the 2012 Hirabyashi Book Award. Bandana Purkayastha is the Professor & Head, Department of Sociology and Professor, Department of Asian American Studies, University of Connecticut, USA. Her current research and publications focus on the intersection of racial ethnicity, gender, highly educated migrants, transnationalism and human rights. She currently serves as the President of Sociologists for Women in Society. Erika Lorenzana Del Villar is a doctoral candidate in Sociology at the University of Connecticut whose dissertation focuses on anti-terrorism and human rights. Njiru, Roseanne and Bandana Purkayastha. 2014. 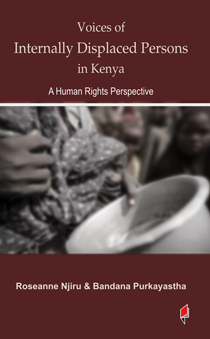 “Voices of Internally Displaced Persons in Kenya: A Human Rights Perspective.” Frontpage Publications Limited. Yousaf, Farhan Navid and Bandana Purkayastha. 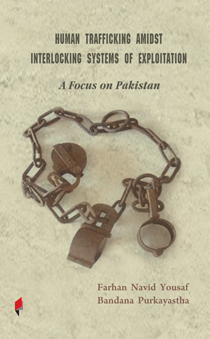 “Human Trafficking Amidst Interlocking Systems of Exploitation: A Focus on Pakistan.” Frontpage Publications Limited.